If you’re a nerd and into nerd music, chance are you’ve heard of Lindsey Stirling. She’s an amazing violinist who just so happens to also be a nerd at heart. 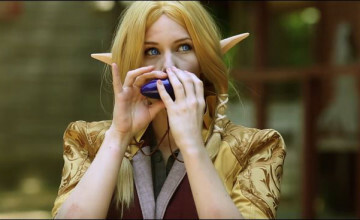 Hell, four years ago we featured her Legend of Zelda medley because I’ll be damned if that wasn’t pretty awesome. This year, though, we all got another great treat: a Final Fantasy medley for the ages! 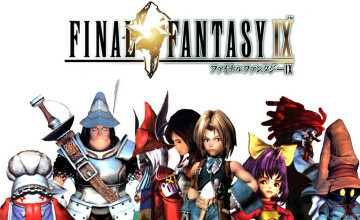 If you’re a fan of Final Fantasy, you’ll certainly recognize the characters in the video: Yuna, Tifa, Aeris (Aerith? ), and Lightning. Lindsey’s cosplay is hella dope. Perhaps a little less photogenic are the two who play Cloud and Sephiroth, but the good news is the camera doesn’t focus too much on their clunky choreography. 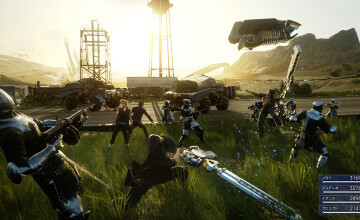 I can’t exactly fault the choreography either as it seems like they actually tried to stay true to the weapon sizes, and those things are pretty much the most unwieldly weapons I’ve seen in a Final Fantasy title. Outside these medleys, I can’t tell you enough how much I love Lindsey Stirling’s music. Her medleys and tunes range from deep and orchestral to hip and fun. I mean hell, just take a look at this Steampunk breakdown. Yeah, the video kind of reminds me of League of Extraordinary Dancers, but you know what? That doesn’t bother me in the least. I always enjoy seeing what’s coming next from Lindsey Stirling and crew. I also VERY distinctly remember her from America’s Got Talent, and it’s pretty cool seeing where her career has gone from there. Make sure to check out her channel if you haven’t already, and share any other cool videos you’ve seen in the comments below!